Remember that moment in a crowded classroom during a lecture, or perhaps crouched alone late at night over a textbook, yellow highlighter in hand, studying anatomy and physiology, when you suddenly first realized that the human body is a living, breathing miracle? Or how about that “Aha!” moment when you finally got it! and grasped the difference between a Mobitz Type I and a Mobitz Type II block (hint: look at the PRI). Travel back in time for a minute….back to when you were four, five years old. You’re at an aquarium, palms and nose pressed up against the damp cold glass wall of a massive floor to ceiling seawater tank. You don’t feel the cold. You’re enraptured with the magical sea creatures gliding and circling, scared of the monstrously huge killer shark coming straight at you, enchanted with the antics of the sea otters. Look! There’s Nemo! Lifelong learners are ageless and project energy. They are in awe of the universe. Continuing education and lifelong learning is a way of life. Read below to see if you have the 10 characteristics of a lifelong learner. You’re insatiably curious. You’re never satisfied, and you have more questions than most. How come the right side of the brain controls left-sided motor functions? Why is an H&H drawn two hours after a transfusion higher that an H&H drawn immediately after transfusion? (teaching point: don’t rush to draw your H&H). Intellectual curiosity is a sign of intelligence. If an article headline says “How to…”, you’ll probably read it! You have a sense of wonder and surprise and delight that you’ve never lost. Watching a time-lapse flower bud unfold or viewing a virus under a microscope leaves you awestruck and appreciative, if not humbled. Lifelong learners are avid readers. As a youngster, you hid under the covers with a flashlight to read at night. You would have read at the dinner table if only your mother had allowed. You usually prefer the book version to the movie version. You always have a) the book you’re currently reading, and b) a list of new books to read. I always have an upstairs book, a downstairs book, and a Kindle book. You’re driven, some would say obsessed. You have a drive and a desire to learn. You’ve always been that way. It’s hardwired, it defines you. You push to stay on top of best practice through continuing education. You are planning your next certification, registering for your next class, or pursuing your next degree. You’re intense, you’re goal-oriented, and..you love it! You’re a healthy skeptic. You don’t accept what you’re told or what you read at face value. You have an inner fact-checker that spots inconsistencies, fallacies in logic, and contradictions. You demand supporting evidence. You’ve learned that most people aren’t like you in that regard, and so you validate claims yourself. You find the response “Because we’ve always done it that way” to be neither amusing nor an indicator of intelligence. You challenge the status-quo, the nursing myths and sacred cows. You look things up. You can zig-zag around the internet for hours at a time. You seek evidence from the source. Want to know central line dressing change frequency? CDC. Use of Standing Orders? CMS. Scope of practice? Your state’s Board of Registered Nursing. You’re a critical and complex thinker. You don’t just passively absorb information, you analyze it, you synthesize it, you apply it. You have the ability to spot existing or emerging patterns and you’re skilled in “sensemaking”. You’re a teacher, no matter what your official job title is! Coworkers view you as a resource and an expert. They ask for your advice because they know you’ll give them accurate information. You love to share knowledge because you get it that we all learn through sharing and openness. You value transparency. You’re passionate and enthusiastic, but you’re not as good at wholeheartedly promoting practices that don’t make sense or don’t help patients. You demonstrate initiative, you’re motivated, you’re self-directed. You are usually one step ahead of others. You are blessed and cursed with the ability to foresee the problems that lie ahead if the team continues on the path they’re on. You are unable to stand by idly once you’ve identified a problem, and you will address it when others don’t or won’t. You offer solutions and understand process. You’re adaptable and creative. You work with the resources at hand and don’t make excuses. You’re always creating something new. For you, it’s like giving birth each time you complete or launch a project. You have learned to trust your intuition and you rely on it in decision-making. You have excellent communication and interpersonal skills and you continually seek to improve them. You can break down a process and articulate it easily for the user’s understanding. So…What area of learning excites you? What makes your heart beat faster and makes you eagerly jump out of bed in the morning or stay up late at night? Here’s a few of my examples, purposely not all nursing related, but all continuing life education. Smoky Eye fail? lol or good start? Now, don’t laugh. Yes, I watched Michelle Phan You Tube videos for a week. Followed by sites that reviewed cosmetics. What’s the best mascara? Is Yves St Laurent worth it? Next on to Sephora for shopping, where I am now an official card-holding VIB Beauty Insider and wanting to level up. My daughter patiently modeled while I sculpted her cheekbones, highlighted her facial planes, and gave her a smoky eye. I will keep my day job, but I now offer free make-up advice to my friends and coworkers. Because I’m a learner and a giver like that. My next learning project had to do with chemo precautions and safe handling to protect our nursing assistants (CNAs). Our CNAs (many of them female twenty-somethings) were wearing yellow (isolation) gowns to “protect” themselves from bodily fluids splashes from their chemo patients! And then I was off. The learner and doer in me took over. Researching exactly what ONS guidelines are, arranging to purchase single use individual blue gowns, educating staff, aligning policy with practice, etc. This could be a whole other blog! I became fascinated with exotic air plants after my daughter gave me one for a gift. My husband will attest to this latest obsession as we traipsed all over nurseries in southern California, on a shopping/learning spree. I wanted to learn how our nurses could initiate treatment before contacting a provider for an order, in situations where patients need urgent treatment. We of course needed to be compliant with CMS and state regulations regarding nursing scope of practice. After some research, and with learning mission accomplished, I wrote a standing order policy that enables our trained nurses to order a C diff culture for patients meeting screening criteria. Next came standing orders to order EKGs and initial troponin for symptomatic patients. Formal or informal, continuing education is widely available. In the narrower sense, continuing education (CEs) is required for nurses to maintain licensure. CEs, certifications, and degrees all give credibility, recognition, and personal satisfaction. But lifelong learning is not limited to formal education. Have fun learning and always share! This post was written as part of the Nurse Blog Carnival. 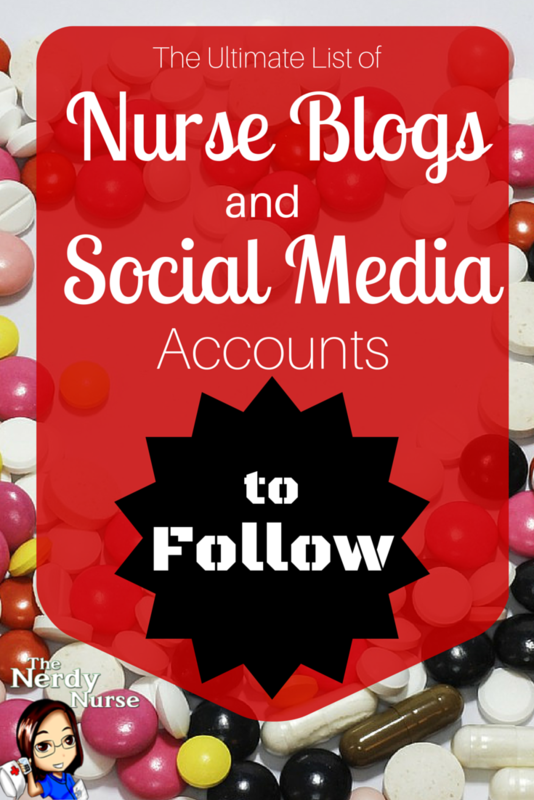 More posts on this topic can be found at The Days When I’m Not A Nurse. Find out how to participate. Many thanks to Brittney Wilson, the Nerdy Nurse, for organizing. What are YOU interested in learning right now ? I’d love to hear from you. Leave a comment! Can a nurse refuse a patient with Ebola?